This post is sponsored by Lifeway. You may or may not know about my obsession with farmer cheese. There was a period when I was eating it every day and then for some reason, as happens with almost every product that I love, my local grocery store stopped carrying it. WHYYYYYYY. I’ve gotten back into it and have been wanting to write this post for some time. 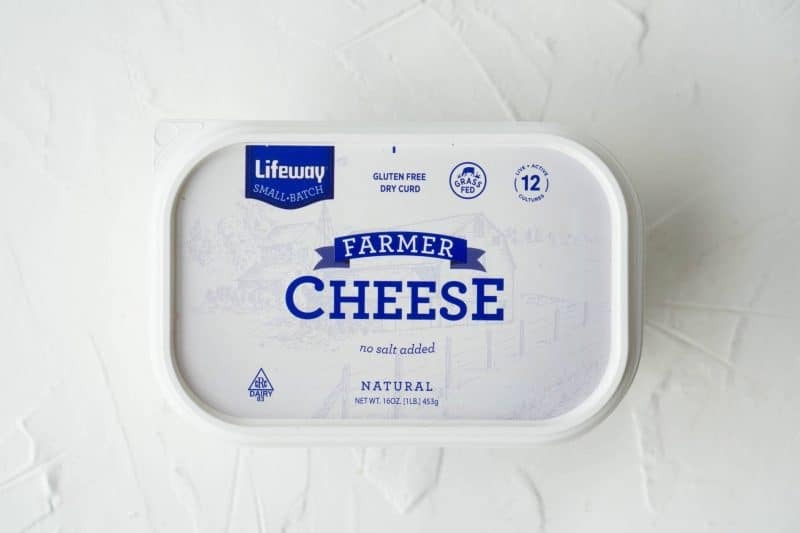 I begged the people at Lifeway (actually since last year) to help me spread my love for farmer cheese and HERE WE ARE. 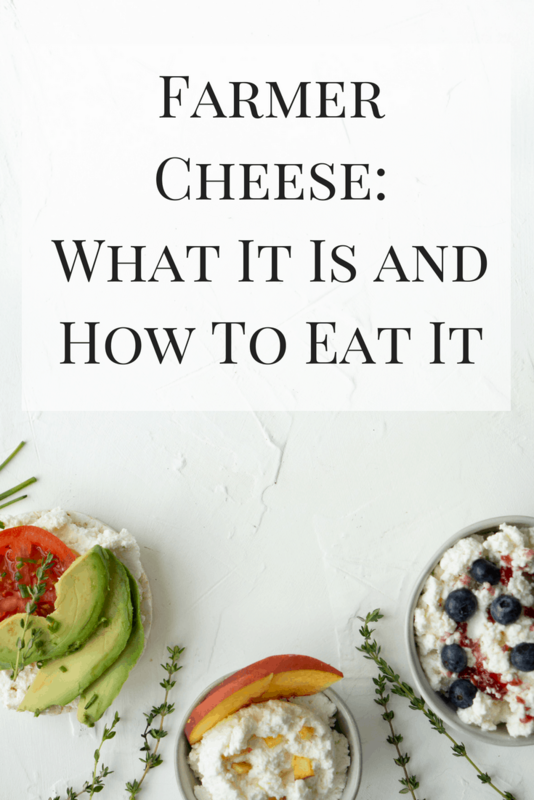 A quick, nitty gritty about what it is and how to eat it. Simple as that. Enjoy! 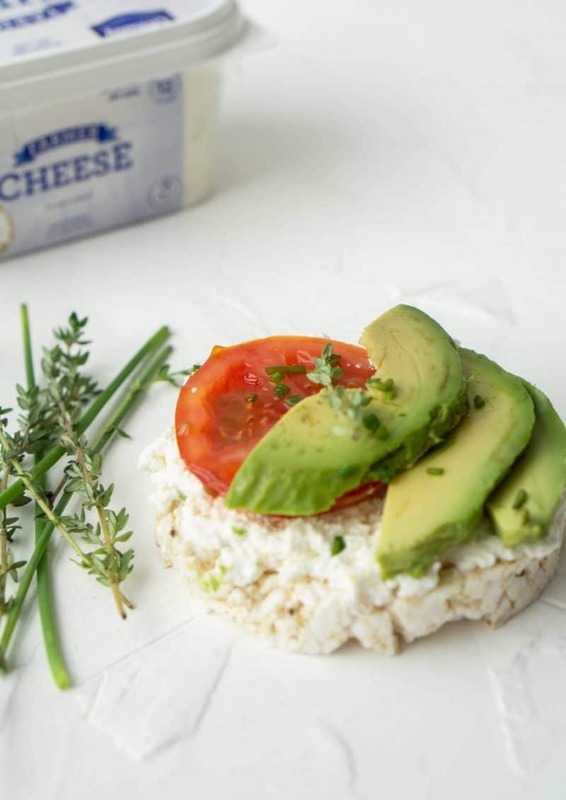 a low-fat, low-calorie cultured soft cheese made with our Old World recipe. With its distinctive, tangy flavor, it adds richness to all of your favorite dishes. Packed with probiotics, it’s nutritious and delicious. I feel like that description could use a few more details, so what I tell most people is that the consistency is a drier, denser form of cottage cheese. It doesn’t have the distinct flavor of cottage cheese, which I prefer because I think it makes it more versatile. The taste is milder and a little tangier than cottage cheese. What I like about foods like kefir and farmer’s cheese is that they are 99% lactose free. I’m somewhat sensitive to lactose, so a lot of it doesn’t make me feel great (but tastes delicious). Having either product doesn’t hurt my stomach or cause me to experience bloating like full-on dairy does. If you have an actual dairy allergy, this probably isn’t for you, but if you’re mildly sensitive to it then this may be a good choice. The biggest thing I like about farmer cheese is its protein content. In one of the 5 oz containers, there are 14 grams of protein. I prefer high protein snacks like Greek yogurt, turkey bacon, and even protein bars throughout the day because my body responds better to them and they keep me fuller longer, so this fits perfectly. How do you eat farmer cheese? Farmer cheese has actually been around for a very long time, although most of its popularity was abroad in Eastern European cooking. It seems to be less known in the U.S., but slowly, and thanks to brands like Lifeway, it’s making a comeback. plain + add-ins like fruit, honey, jam, etc. 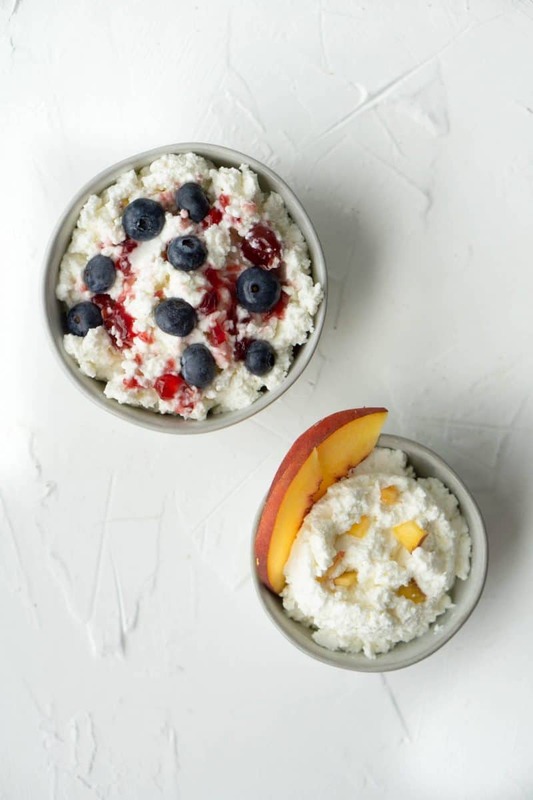 *this recipe, as well as tons of kefir recipes, can be found in the recently released The Kefir Cookbook, which you can check out here. 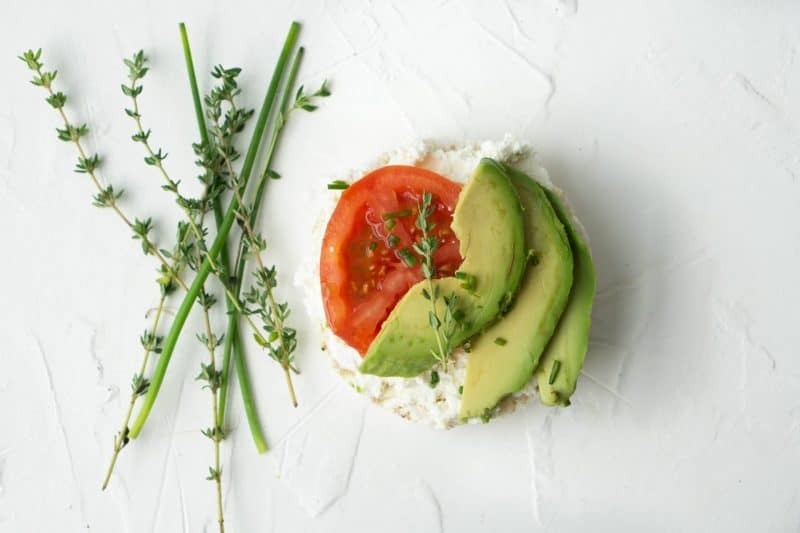 Let me know your thoughts about farmer cheese — have you had it? Do you love it? How do you eat it? I’d love to know in the comments! Do you know about farmer cheese? Here’s all the info you need and why you should start eating it today! I am also lactose-intolerant. But I have mild osteoporosis, instead of taking too many calcium supplements I added plain Kefir and farmer cheese from Lifeway to my diet. Usually, I spread the farmer cheese on my sprouted toasts as breakfast. And Kefir in between meals as snacks. My stomach is happy and I am happy. P.S. I also always keep the Lactase Fast Act tablets from Costco in hand just in case I like to have some ice cream or desserts with dairy products once in a while. I usually chew the tablet with my first bite of dairy products. And my stomach is also very happy with that.